We recently celebrated Sophia’s 7th Birthday. 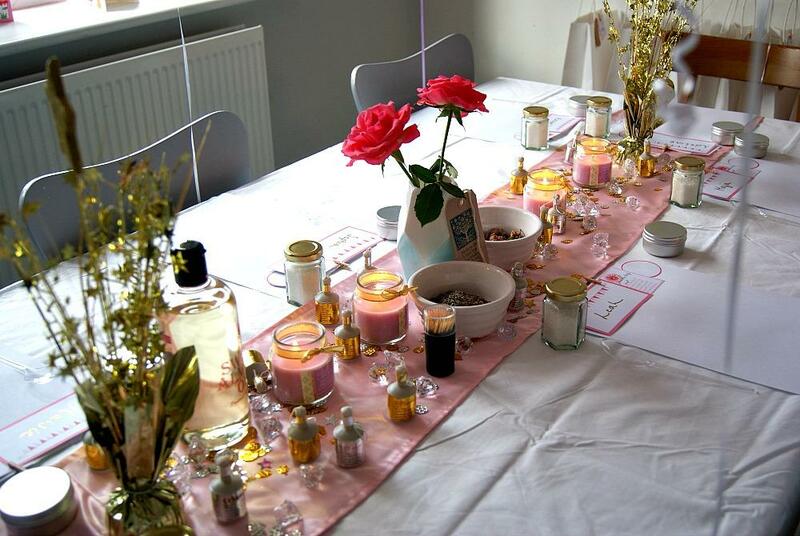 She asked for a Spa Party, it was so much fun planning and organising it for her. It took quite a bit of preparation but its something I really enjoyed doing. It was so much fun putting the table together. We used it a lot for games, activities and for lunch so I did spend quite a bit of time on it. I had a look online for some age appropriate things for her to do with her friends at the party. We decided on making homemade bath salts and lip balm. We played some games and we painted nails and toe nails. I purchased some nail stickers online to make it extra fun for the girls. We also did glitter tattoos which I purchased online. I will do a post soon about everything I did and how I did it, as I found these blog posts invaluable for me when trying to plan Sophia’s party. 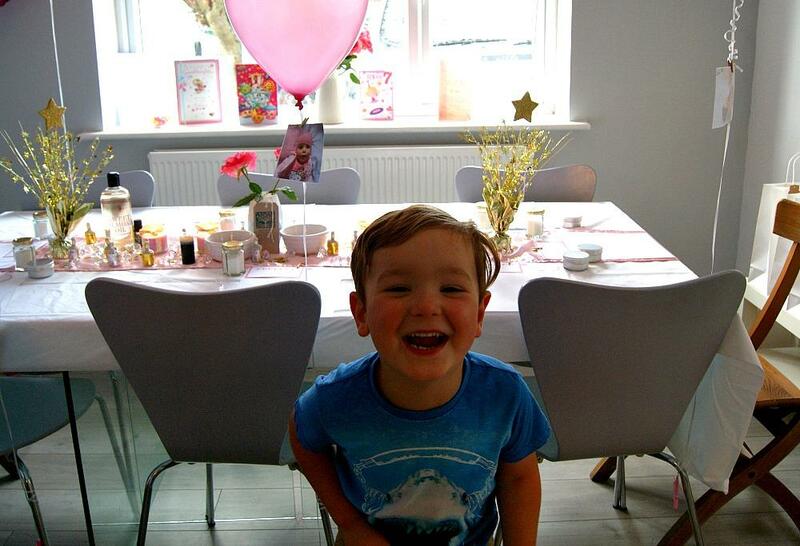 Surprisingly we have never had a party at our new house since having Sophia start school. So it was really nice to have some of her friends over to celebrate with her. I had so much fun with all the girls, I really love making things with the children, the bath salts and lip balms went down well and were really easy to make. The girls really concentrated making their labels and they enjoyed choosing and smelling all the essential oils. I have to admit my house smelt amazing making the bath salts. Archie made one a bit later on and bathed in it as soon as the party was over, it smelt just lovely and his skin was silky soft from the sweet almond oil. Sophia loved having her friends over to visit and they all had such a lovely time together. My personal favourite part of the party was singing happy birthday to my Sophia. Her little face I wont forget it. She so deserves all the happiness. I wish for her all the good things she wants in her life and more. 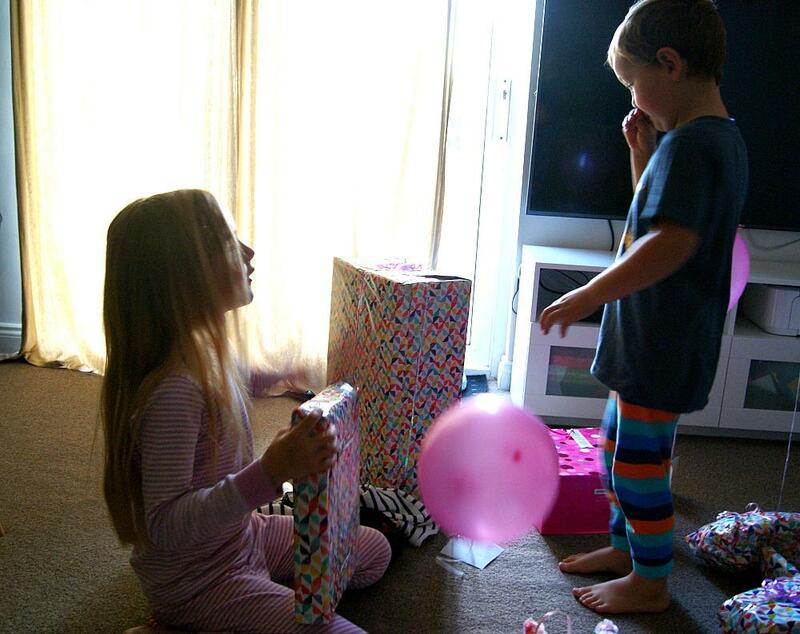 There is something so special about wishing your little one another year older but also something so shocking. In one way I feel incredibly proud and so happy to see her thrive and grow but in another way I am taken aback at how fast it has gone and how much we have done together. I think right now we have the perfect balance for us as mother and daughter and as a family of four soon to become a family of five. There isn’t anything I would honestly change right now about our life, I’m just really very happy experiencing what we have right now. My children are happy, my husband is happy and so are my cats (although I don’t think a cat is ever happy with too much noise) and thats all that matters. Thats the most important thing. 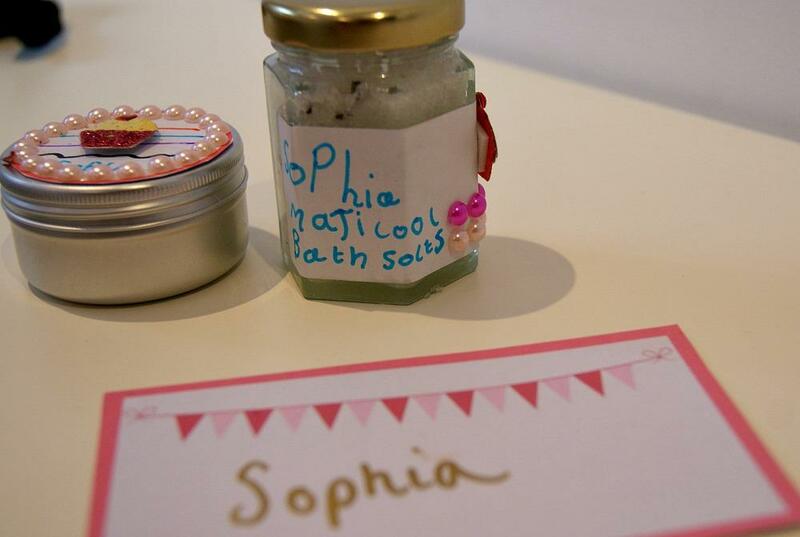 Here is Sophia’s finished bath salts and lip balm with the pretty labels she made. Later that evening once all her friends had left we sat down to open her birthday presents from her friends. 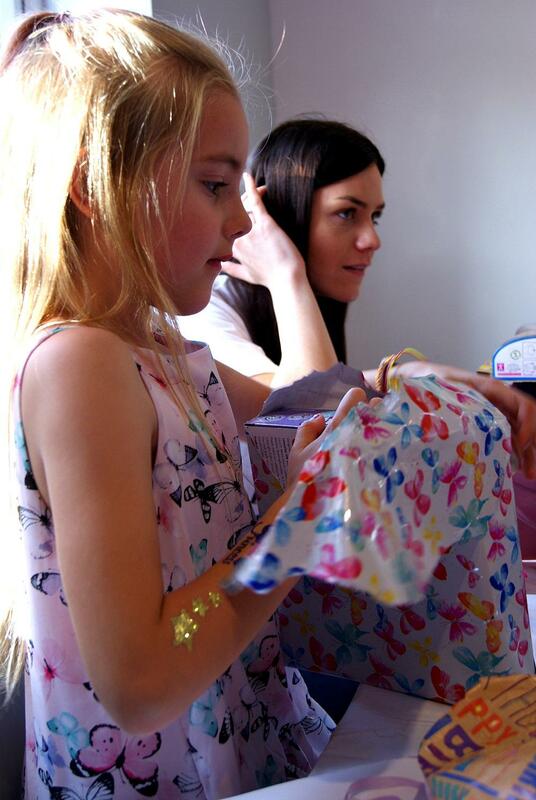 She was incredibly spoilt and received such lovely gifts. She loved them all and is very excited to use them all. Archie looking incredibly tired after a long day, helping us prepare for the party. We then spent our evening snuggled on the sofa watching Monster Trucks, Sophia playing with all her new toys and Daniel ordered a Dominos. It was a really lovely end to a wonderful day. Both children were fast asleep by 7pm. I think both exhausted from a fun filled day. 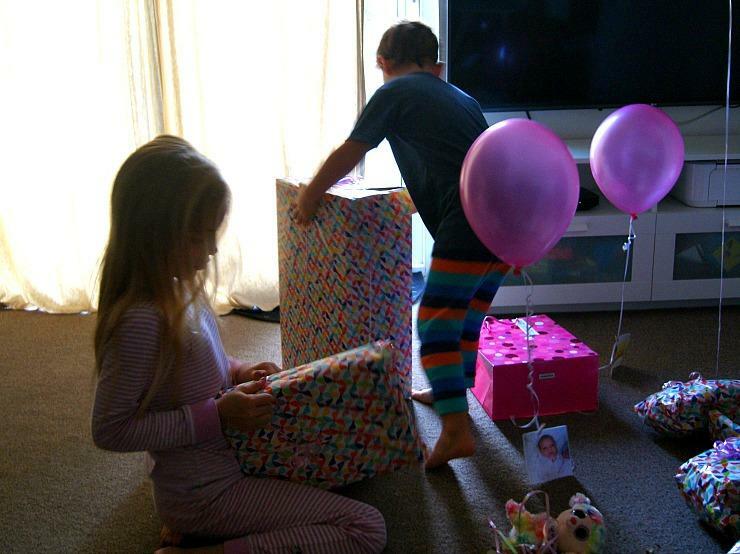 When asleep we put all Sophia’s presents from us ready for the birthday girl in the morning. 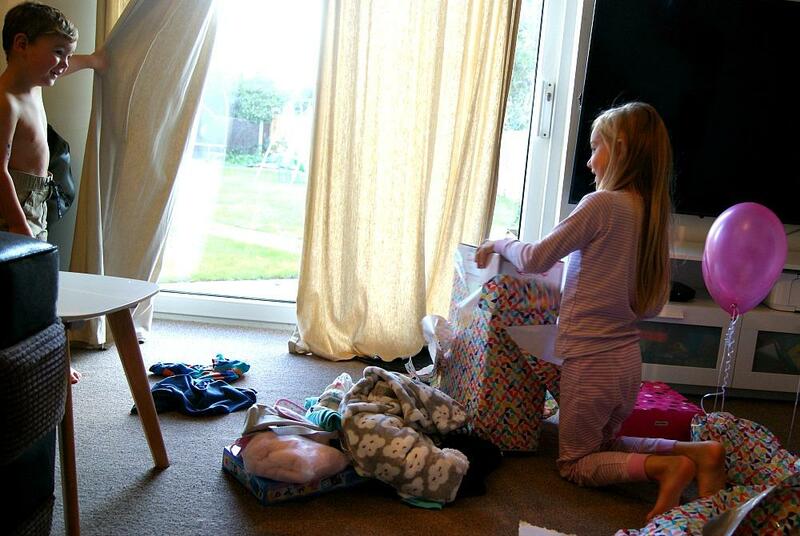 I managed to take some photos of her opening her presents in the morning along with the help from Archie. I know I will look back at these with teary eyes when they are older wondering how it has flown by and wonder where my babies have gone. It was a lovely weekend with my big girl and so lovely to give her all the attention. What is ultimately most important to us as a family is spending time together, and happy time, where we all enjoy each others company and we laugh a lot too. We definitely did lots of that over the weekend even more so because it was Sophia’s special day. It is not everyday you turn 7 after all. It was lovely to celebrate her birthday and spoil her. It is such a fun part of childhood and I have such fond memories of my birthdays and getting the doll I had wanted all year. It just means a lot to have the people you care about care so much about you too. She is a lucky girl, and I hope she always knows how much we all love her. 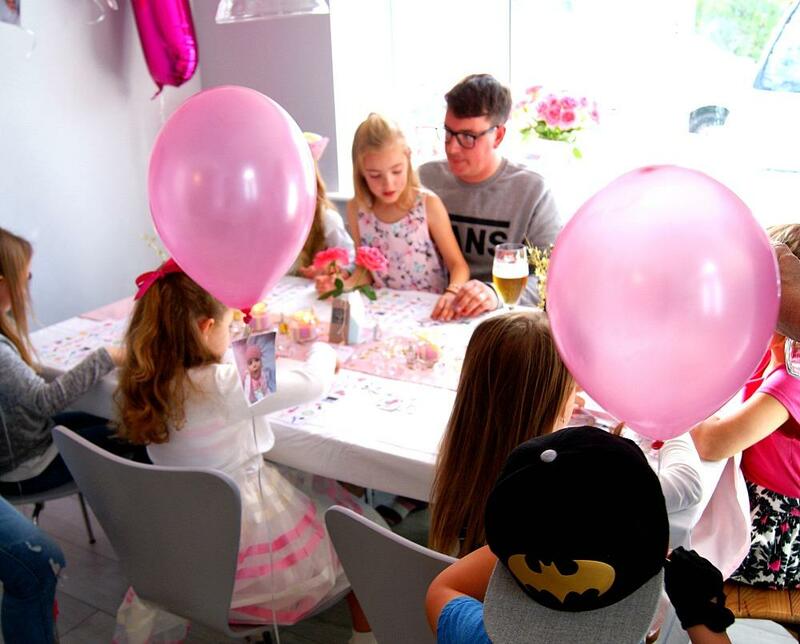 What a lovely party, we did something similar for my daughter’s 8th birthday last month, a spa sleepover, the girls had facemasks, foot spa’s and nail painting followed by pizza and a film with ice cream sundaes, they loved it. It looks like she had a lovely day! Think the spa theme is a fab idea – I would have loved to make my own things like that growing up! Sophia looks like she had an amazing time. I did a similar party for my daughter’s 9th birthday. We made lip balms and had a lovely time. Isn’t it so precious having a girlie daughter? Archie looks exhausted, bless him. Aww what a lovely idea for a birthday party. I would have loved that when I was younger. It looks like she had a great time. Lovely birthday! That was such a great idea for a birthday party. I look forward to doing things like this with my daughter. This is lovely. 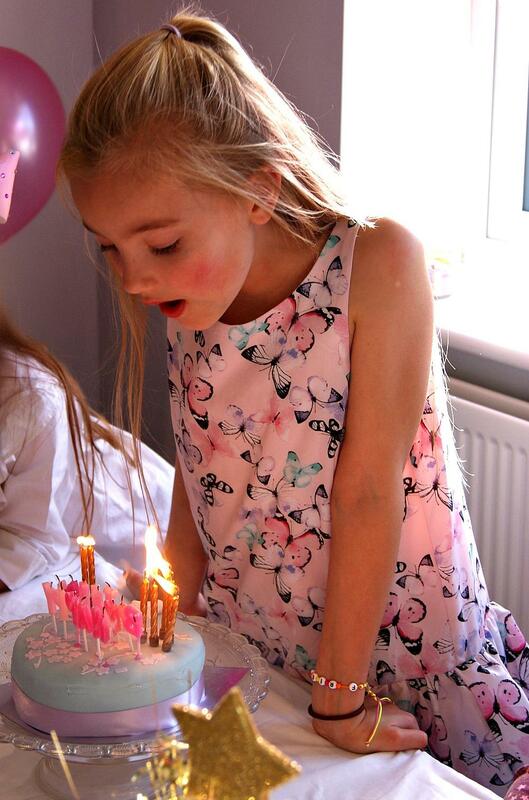 So pleased she had a great birthday and a spa party sounds like a whole lot of fun, what a wonderful idea. That’s such a lovely party, I’d be more than happy having that myself! 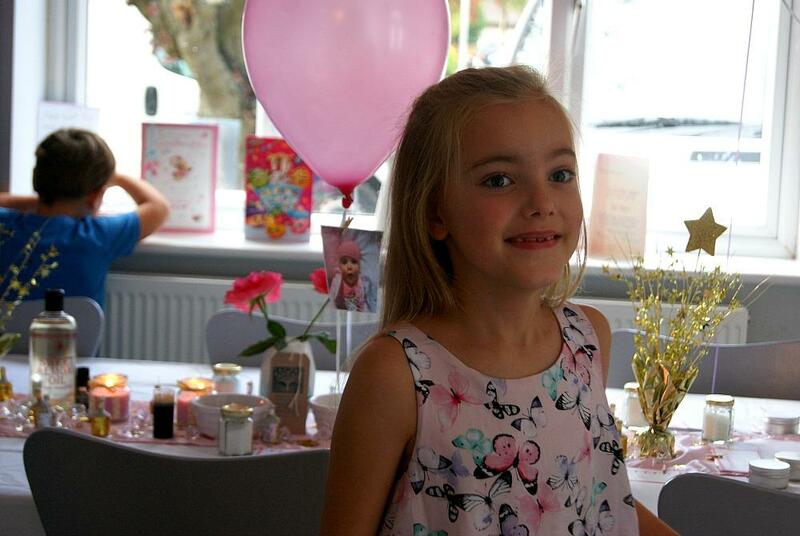 Wow, Sophia really came up with an amazing theme.. Looks like you had a great time! This is such a cute idea for a birthday party! That cake especially looks amazing! Wow what an amazing party!! 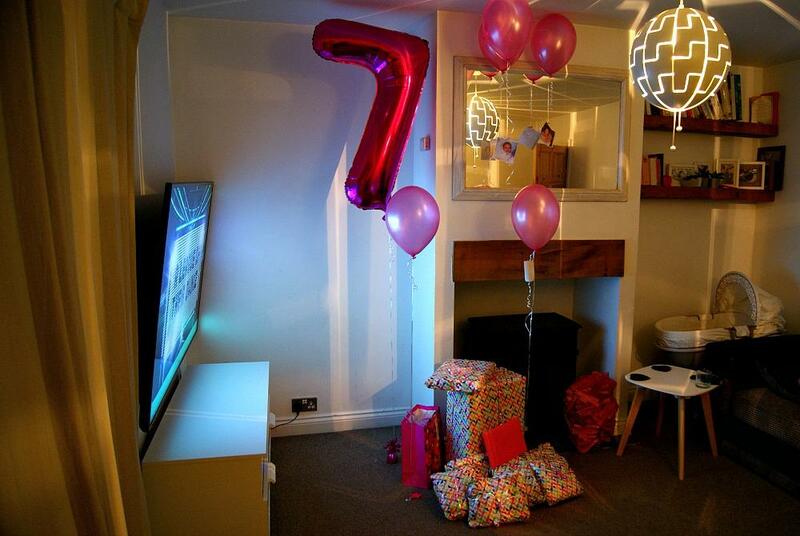 Happy 7th birthday Sophia, I so wish I could have a party just like that, what I wouldn’t do for a spa day!! 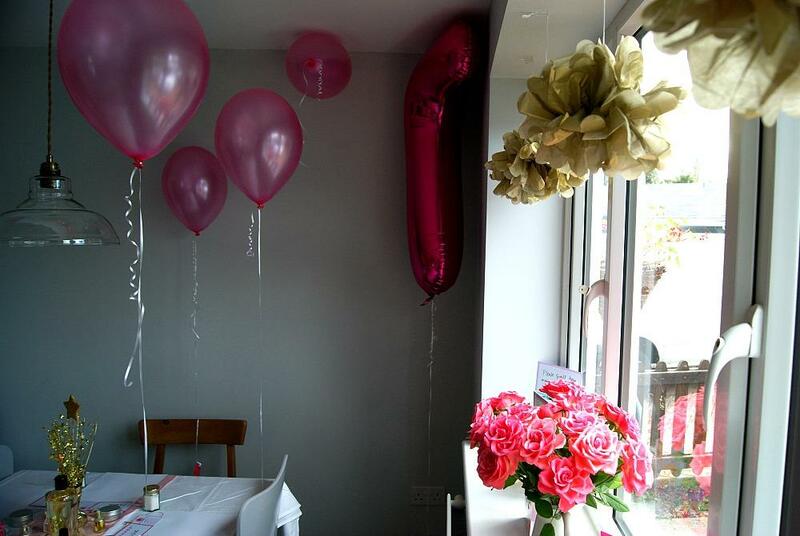 Great photos and such a lovely idea for a party. I don’t think I have space in my house for a party at home. And I definitely couldn’t cope with the stress of multiple young girls with wet nail polish! EssexKate recently posted…Would An MSC Cruise Make A Great Family Holiday? This looks like a right treat – and not overly girly, which must have been nice for the boys who attended! 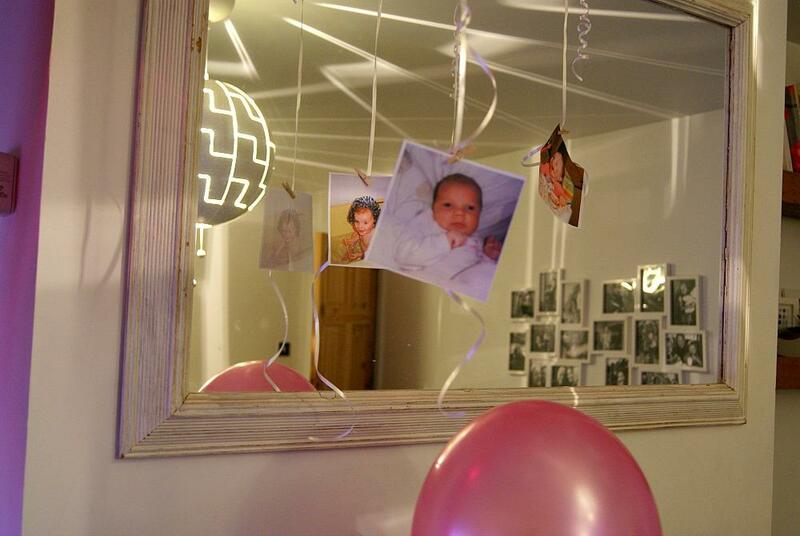 This is such a great idea for a party, I’m going to remember this for my daughter in a couple of years time! This looks like such a lovely day, so glad she had a wonderful day. 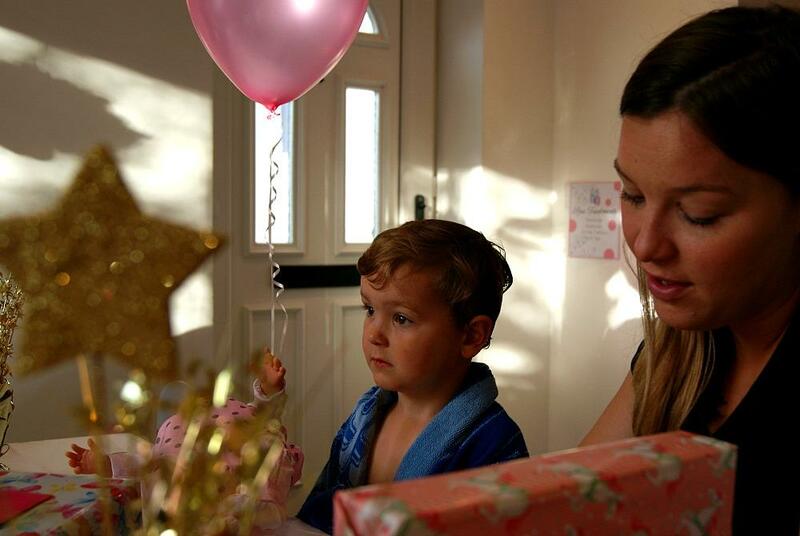 This looks lovely, so glad she had a wonderful birthday. Nice table & home decoration for party. Thanks for sharing with us.